In most places, the colder months bring out a hibernation instinct. Short days and long nights have you less active than usual, and frigid temps keep you bundled inside cooking comfort food to stay warm. While this cozy routine is understandable, it's not always best for your health. Thankfully, the happiness that comes with the start of spring should also be motivation to cleanse yourself from a long winter. 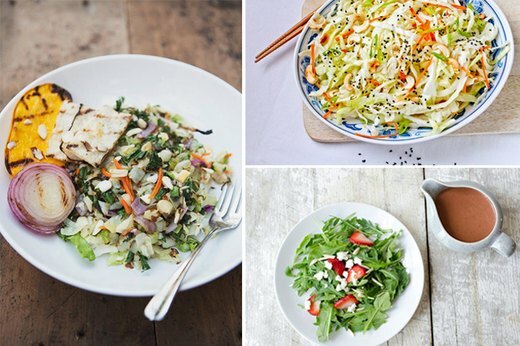 Bring tons of variety to your warm weather meals by opting for these delicious salads. It won't even feel like healthy eating — because they're that good. Everyone knows that when strawberries are in season, the days are set to get warmer and longer. 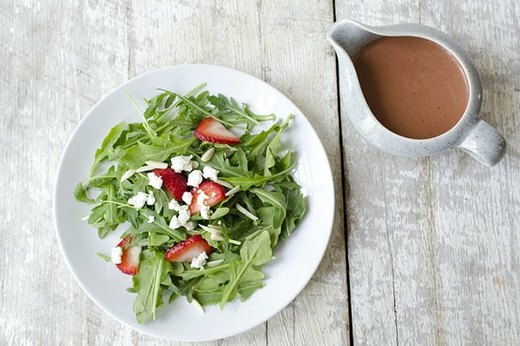 This wonderfully refreshing arugula salad with roasted strawberry vinaigrette is the perfect way to eat healthy with all the flavor and excitement that comes with that blue sky shift in the seasons. This shrimp and avocado freekeh salad is the ideal nourishing meal after a long hike under blossoming trees. 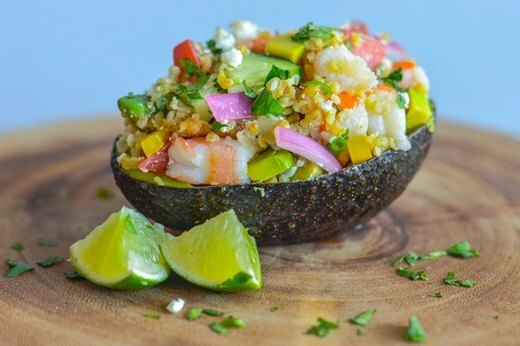 The vivid combo of avocado and shrimp is complemented with the nutrient-packed grain freekeh, making for a salad that not only fits your health goals but will keep you coming back for its crazy-good flavors. A hot day that doesn't give way to evening cool usually means that you can't imagine making a meal that requires any form of cooking. 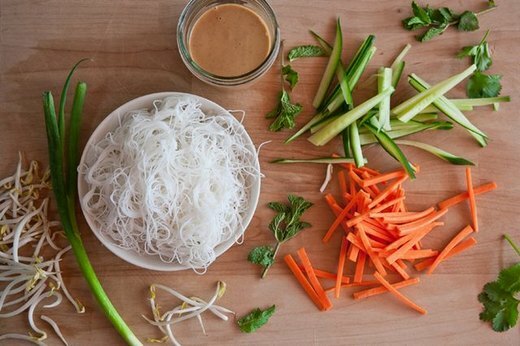 This chilled peanut noodle salad is perfect for those types of days. It's gluten free, vegan and can be made in advance, so go ahead and whip up enough to get you through the entire heat wave. What's a sunny day feast without some fiery grilled corn? This one will be everything you want and more. 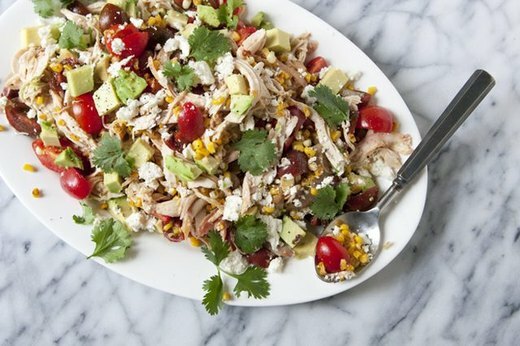 A charred corn with chicken and cheese salad is the perfect meal to bring to an outdoor barbecue or pool party. But if you decide to keep all of its smoky, rich flavors to yourself, that's understandable. The top two complaints that people have about salads usually are that they aren't filling and they get boring. Well, this spinach farro salad with orange and toasted coriander vinaigrette will not disappoint. The burst of flavor from the orange zest pairs perfectly with the nutty, rustic taste of the robust farro. Enough said. Spring days have everyone spilling outdoors in packs, taking in the sunshine like it's a gift delivered especially for them. Get out to the backyard grill and enjoy the lengthening days with an al fresco meal. A grilled chopped salad makes for a wonderful summer dinner or the perfect grilled side — you decide. 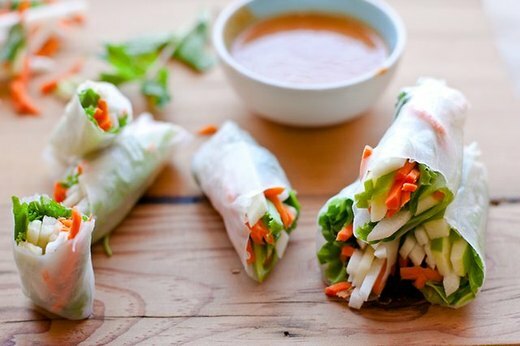 This is really the perfect spring meal: these apple jicama salad rolls are fun and easy to make, as well as refreshing and light to eat. Technically, they're appetizers, but they're so good you can (and probably will) make a meal out of them. 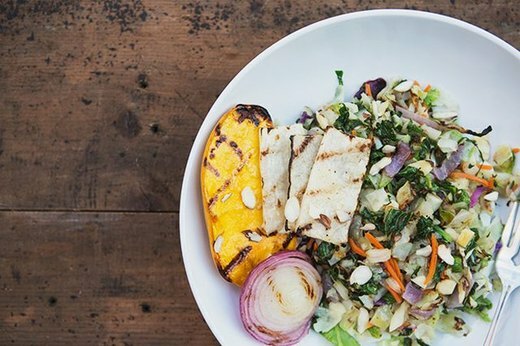 This one is for the serious salad lover. 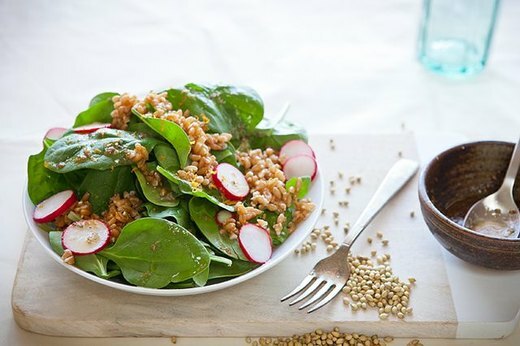 It's unique and refreshing in its own way, but it's also simple: an organic salad that really lets you savor the flavors of the greens. This fresh mint and beet salad with Meyer lemon dressing is all about pulling the naturally rich tastes out of these unassuming whole foods. Doesn't it seem like there's never a healthy option when you can't kick that salty-sweet craving? 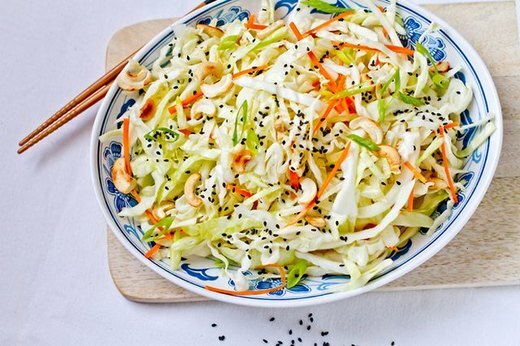 This cabbage salad with roasted cashews and sesame maple dressing is literally the perfect fix. It has a nice satisfying crunch and works great as a snack when you need it most. We all know the longingly sad feeling of being stuck inside on a perfect sunny day. It does not have to be like this. 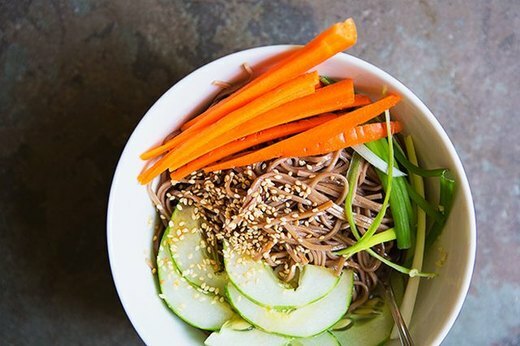 Make a soba noodle salad in the morning, throw it in a sack lunch and take it outside. That's much better. As much as you love to grill during the warmer months, your options can get tiresome. 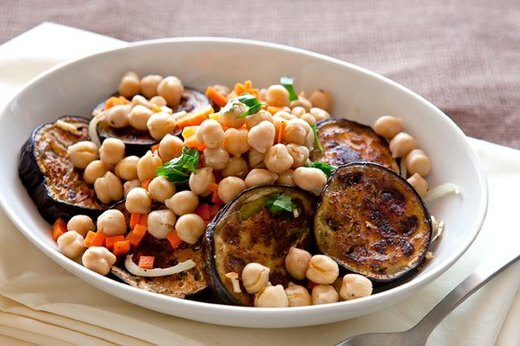 Stay creative by opting for a grilled eggplant salad with lemony chickpeas. The best thing about this salad? You can change things up every time you make it by adding in your own customizations. The grilled eggplant is juicy and delicious, and its mild flavor pairs well with a whole wealth of other ingredients. It's enough to keep you outside, right where you want to be.